When we got married, John and I both drove little cars, he a Saturn Ion and me a Honda Civic. When Blaise was born we quickly realized that compact cars are not designed to hold rear-facing car seats! So just about a week after he was born, we bought a used Honda CR-V. It had low miles and was in good shape and we assumed it would be our forever car. Although we had talked about adoption, in our minds that was a long way down the road. Fast forward a few years to 2012 when we had our third bio child and moved to South Bend. 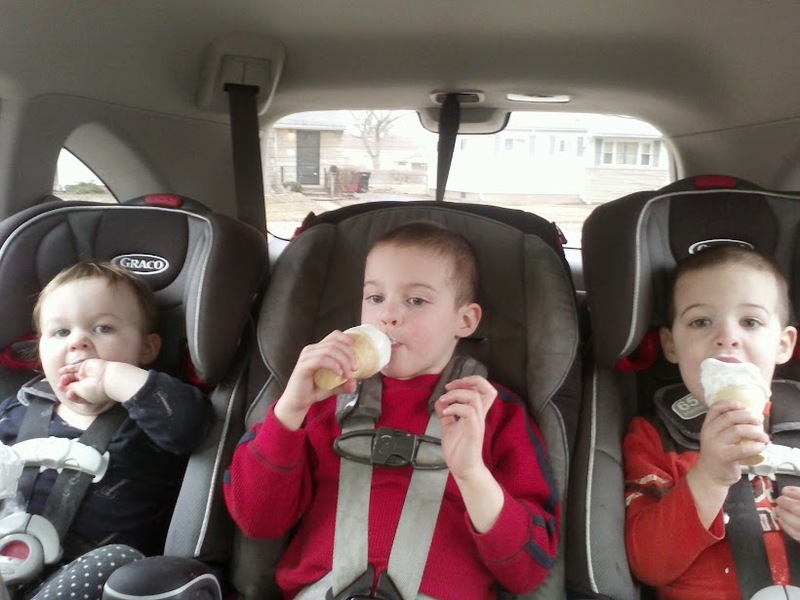 We bought a narrow car seat in order to fit all three in the CR-V, but realized that it was a temporary fix. We also started to hear God's call to adoption more firmly and more as a now thing, rather than something way in our future. When we started the adoption process in October of 2013, we knew that it would require purchasing a larger vehicle. Being practical, money-saving people, we said that we would wait and buy it after we had completed the home study and been approved by the state. We had always hoped that would be spring of 2014, so that our new child could transition into our home before the school year began in fall 2014. Recently with the delay of our paperwork from Kansas (and many delays and hiccups previous to this), it has become clear that our approval would likely not come until the fall. John will be working full time in the fall and I will be working part-time and we'll both be splitting the childcare duties. Realistically, there won't be any time for car shopping. So we stepped out in faith. We believe that God will be faithful to the call he has placed in our hearts. We believe that despite all the delays and hiccups and frustrations, that approval will come. We believe that we will be matched. And so we cleaned out the CR-V and did way more online car shopping and research than I ever wanted to do! 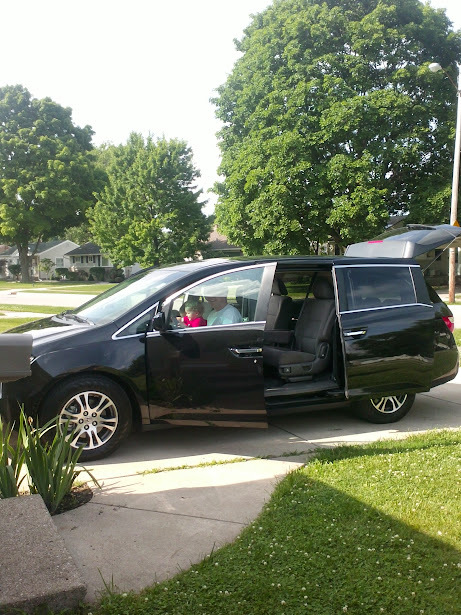 We crunched the numbers and settled on a 2011 Honda Odyssey.